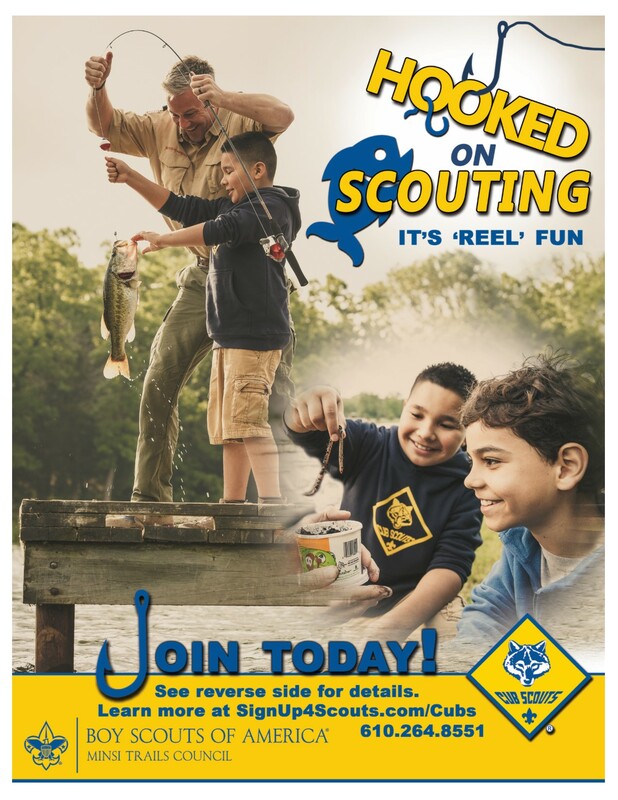 Click here for a .pdf version of our latest Hooked on Scouting brochure. 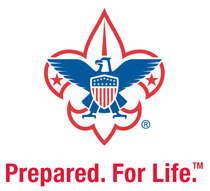 Click HERE for a .pdf version of our latest Hooked on Scouting bulletin insert. 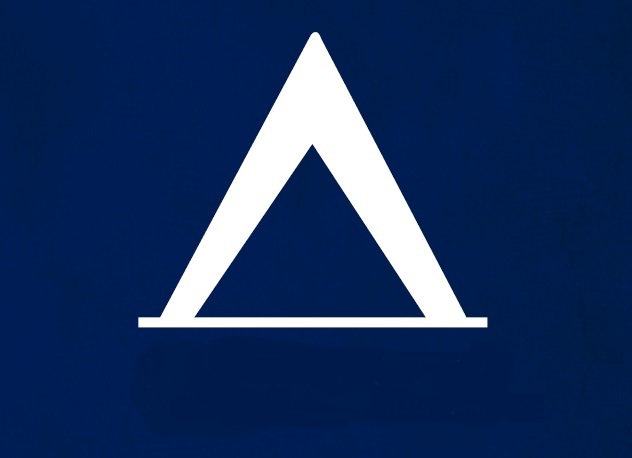 More sizes and formats available including double sided inserts. 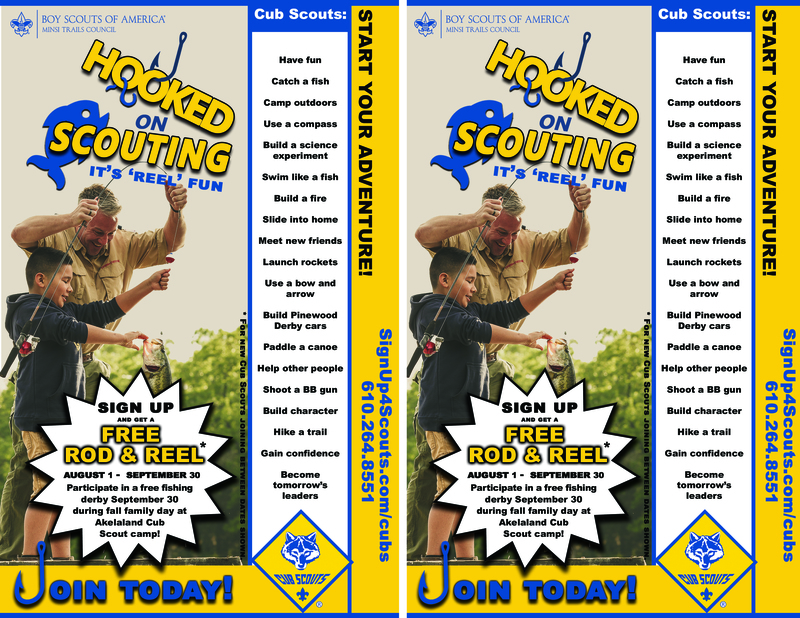 Click HERE for a .pdf version of our latest Hooked on Scouting door hanger. Click HERE for a .pdf version of our latest Hooked on Scouting trading card. Click HERE for a .pdf version of our latest Hooked on Scouting poster. 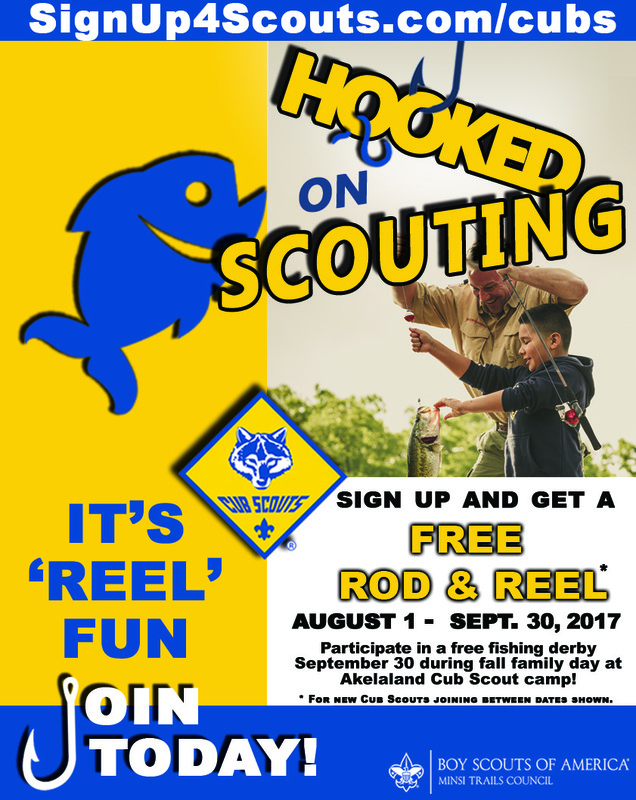 Click here for a .pdf version of our latest Hooked on Scouting flyer.